This is so sentimental – and irresistible. 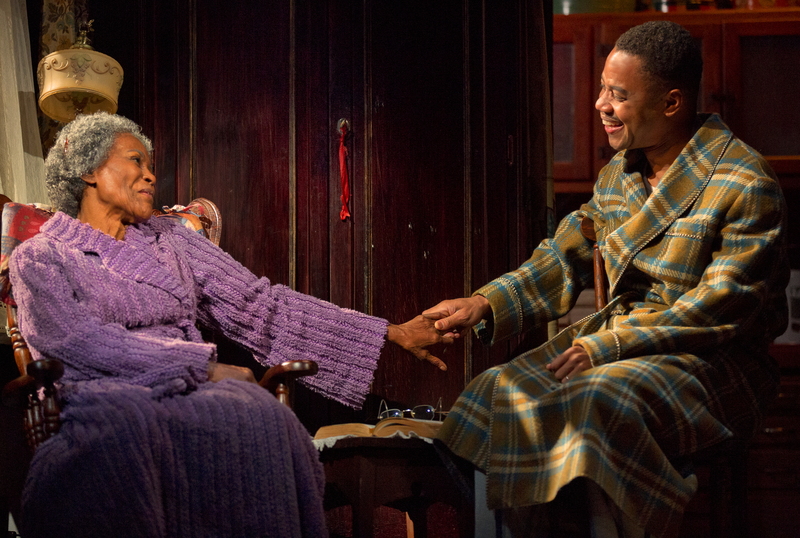 First appearing on Broadway in 1953, featuring silent movie star Lillian Gish in the role now played by Cicely Tyson, The Trip to Bountiful follows Carrie Watts, an elderly woman who dreams of returning to her small Texas hometown of Bountiful one last time. Her bossy daughter-in-law forbids it, her overprotective son worries it’s too much for her frail health and nobody will cash her pension check. Playwright Horton Foote favors subtle, well-made, even quiet dissections of the ordinary people of his native Texas, of which The Trip to Bountiful is the most popular. It’s a character sketch of Carrie more than anything else, and Tyson puts everything she’s got into her deeply heartfelt portrayal. Cuba Gooding Jr. and Vanessa Williams give her solid support as, respectively, her quietly dignified but hen-pecked son Ludie and glamorous but too-hard city girl daughter-in-law Jessie Mae. Director Michael Wilson, who has done many of Foote’s plays over the years, wisely puts his trust in the underlying warm emotionality of Carrie’s trip. This approach elicits an equally warm response from the audience, to the point of joining in when Carrie sings her favorite hymns. That’s not to say that Wilson pays no attention to the unspoken flintiness in Carrie or grudging compassion from Jessie Mae. It’s just that he realizes that’s not where the real payoff of this play lies – that’s all just texture, albeit brilliantly rich and brilliantly executed. For a sentimental drama that’s over 50 years old, The Trip to Bountiful has aged exceptionally well – it’s still quite entertaining and its insights still make abundant sense. Very satisfying.